A waterfall in the North Woods. Most people know that Central Park is big. Unfortunately, most people don’t know how big it really is because they only explore the southern portion. Don’t get me wrong, I love that part of the park – my favorite areas are there. Yet, there really is something to be said for the peacefulness and beauty of the north end of Central Park. So if you have not ventured there yet, I thought I would provide you with details so that you can take your own walking tour through the area. The Harlem Meer on a beautiful summer day. To start your tour, take either the number 2 or 3 subway to the 110th street stop. The subway stop is about a block from the park, so you will see it when you exit. You will enter the park by the Harlem Meer,which is a man made lake. I love the weeping willows in this part of the park and also the ducks. For all the fishermen out there, the Meer is the preferred fishing area in the park. If you look towards your left you will see the Dana Discovery Center. The Dana Discovery Center hosts various community events throughout the year and is also the place to borrow fishing equipment and get bait for catch and release fishing. Also on the south side of the Meer you will see the Lasker Rink and Pool. Depending on the season, you can either ice skate or swim. Walk towards the Dana Discovery Center and follow the path toward the Conservatory Garden. You will want to take some time and explore this area. It is also a great place for photo shoots or even weddings! There are three main sections, each with a distinct style. 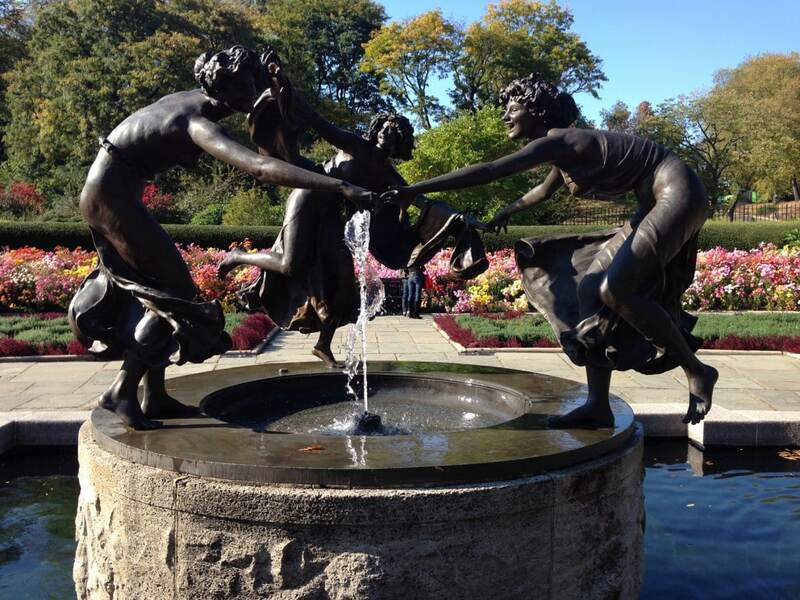 The first section you will enter is full of flowers with the Three Dancing Maidens fountain as the centerpiece. Then the center section has a large luscious lawn with a large fountain and terrace. 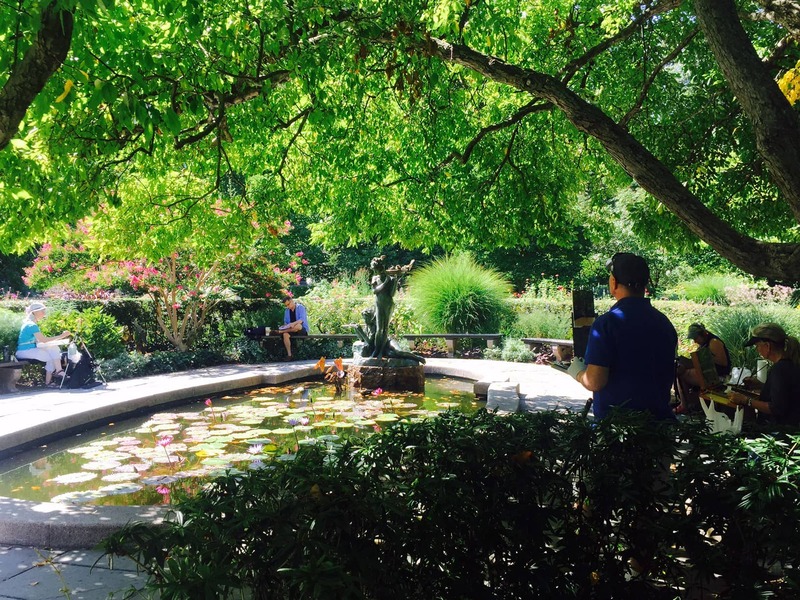 The most southern section of the Garden has a beautiful water lily pool with the lovely sculpture. I often see artists painting or drawing here. The lily pond in the south section of the Conservatory Garden. Once you have explored this area walk back out the way you came. Then walk along the southern side of the Meer to the western part of the park and enter the North Woods. 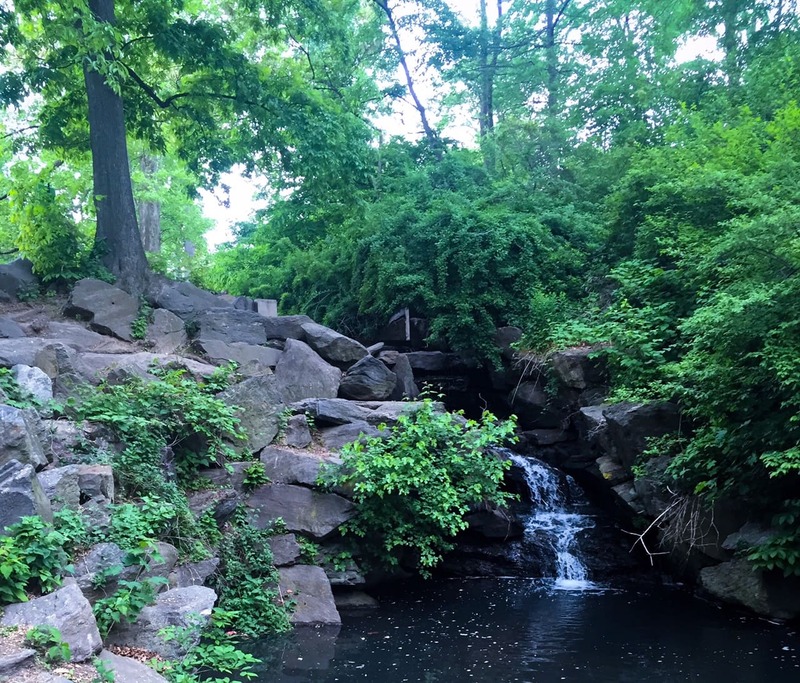 At times, when you are exploring this part of the park you will forget you are in the middle of New York City. It will feel like you are in the wilderness on a hike. Two highlights of this area not to be missed are Blockhouse No.1 and the Pool. Blockhouse No. 1 is small fort with a great view. Built in 1814, it is the second oldest structure in the park, aside from Cleopatra’s needle. The Pool is one of the most scenic areas in the park. There is also a waterfall that leads to the Grand Span Arch, which is a beautiful bridge. 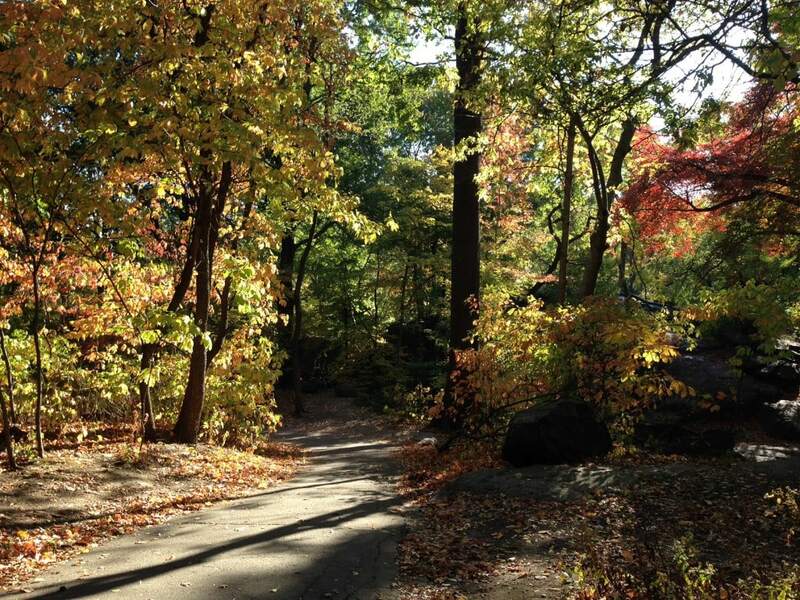 The North Woods looks more like a wilderness hike than a park in the middle of NYC. The Grand Span Arch is just one of the many beautiful bridges in Central Park. Then you can end your tour of the northern part of the park with a picnic on the Great Hill. 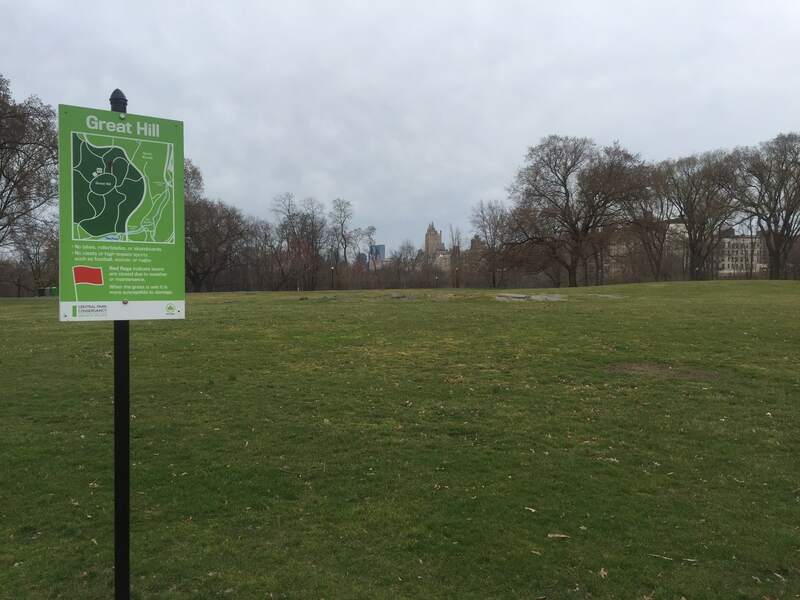 The Great Hill is a large grassy area that is usually much less crowded than Sheep Meadow or the Great Lawn, so it is perfect especially when you want to gather a large group or need space for the kids to run around. In the summer there is a great free event called Jazz on the Great Hill, which is similar to Philharmonic in the Park with less people. To head home from here you can catch the B or C train at 103rd. There is plenty of room to picnic and play on the Great Hill. The tour I outline can probably be done in about 2 hours, but I would recommend allocating more time to really get a feel for the serenity and natural beauty. Have you been to the northern part of Central Park? I would love to hear what you thought in the comments. You can borrow free equipment and bait for the catch and release fishing at the Dana Discovery Center. Depending on the season, you can skate or swim at Lasker Rink and Pool. Blockhouse No. 1 in the North Woods provides great scenic views. The Great Hill is perfect for picnicking or letting the kids run around. There is a 6-mile walking/running/biking loop around the inside of the park. If you want more exercise, you could take this from the southern part of the park and then start the tour. You may also enjoy my post about biking in Central Park, it includes a discount code on your rental. PreviousLiebster Award for Two Traveling Texans! Teju – that’s very true! I didn’t explore the north end until a few years ago. 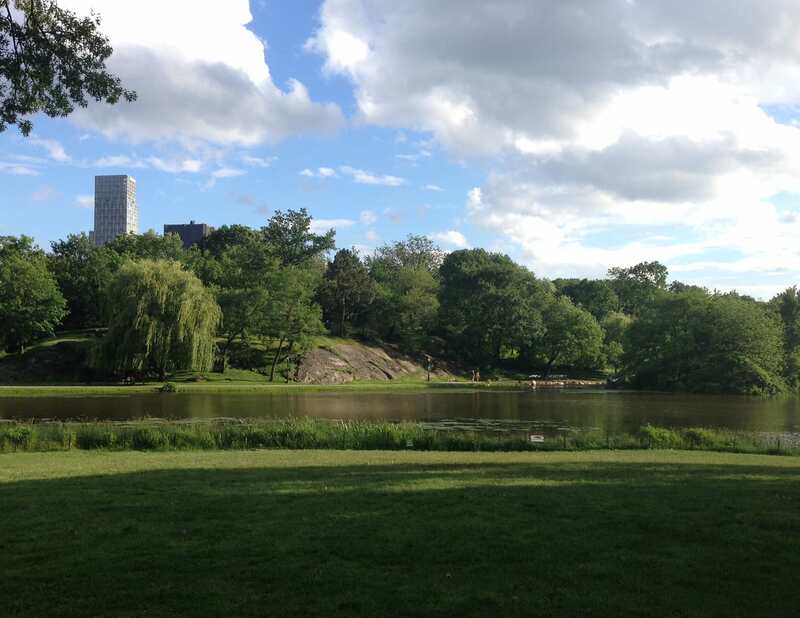 I love to visit the northern end of Central Park as well – every part of the park has its own personality, and I find the northern end particularly restful. It’s easy to access from the east side as well, especially if you are coming from the Museum of the City of New York or El Museo del Barrio first. Yes. I agree love the peacefulness. And you are right there are so many museums close by. I had no idea Central Park has so wild and beautiful areas. I only walked in the middle of it where those big rocks are. I guess this park is more interesting for New Yorkers than for visitors who usually come to Manhattan for the city not for the woods of Central Park. 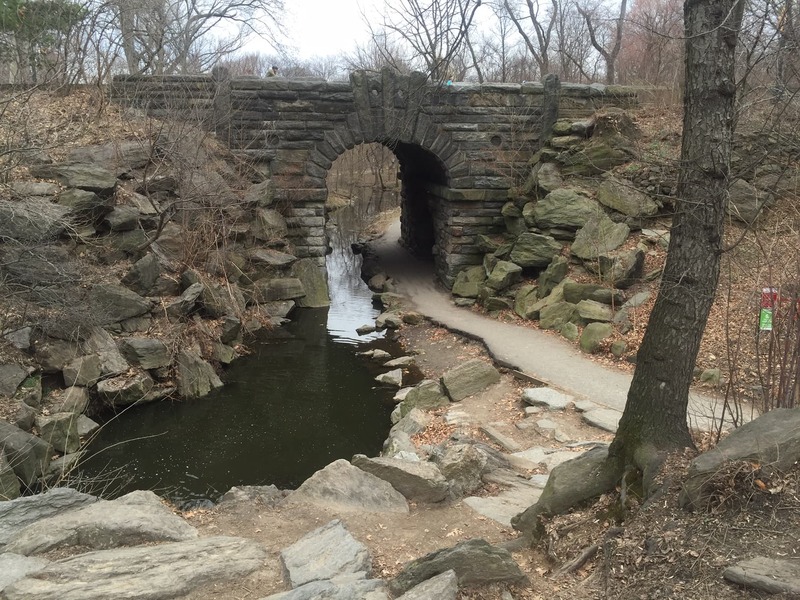 Anda – Lots of people don’t realize how much Central Park has to offer and how big and diverse it is. There is no way to see it all in one day. Great to know the park will keep busy residents and visitors. I have only been to small areas of the park. I have never been on summer. Looking forward to a summer in New York. Yes summer is a great time in NYC and not just because of the weather. There are lots of free events! Jazz on the Great Hill like I mention in this post and also Philharmonic in the Park are just a sample. Thanks Clare! I hope you get to visit NYC soon! Thanks for this great story. I lived in Manhattan and there was so much to Central Park that I never discovered. There are so many hidden facets that it’s hard to imagine, considering how it is smack dab in the middle of NYC. Linda – I’m so glad you enjoyed it. I hope more people take time to explore more of Central Park. Wow, aside from the painters it looks like you had the park all to yourselves that day. Great pictures and a great walk through a part of the park we haven’t been to yet. Yes one of the nice things about the north end is that it is much less crowded! I hope you guys get the chance to explore it one day.